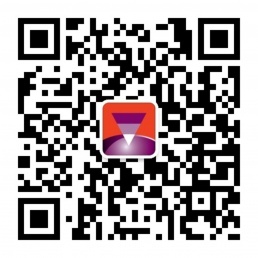 Wuhan Kebei Politron Technologies Inc.
WUHANKEBEI TECHNOLOGY CO.,LTD the stock code "838775", is the new three board listed enterprises, is a national high-tech enterprise. He was established in 2003. It specializes in the planning and design of modern science laboratories, research and development of science and technology, equipment manufacturing, system integration, technology service and environment construction. It is the service provider of the integrated system technology service provider and the overall plan. The company is a science and technology service enterprise built by the laboratory integrated system. The company is headquartered in Gedian economic and Technological Development Zone (national level). The production area covers an area of 60 mu, with a construction area of 31000 square meters and a registered capital of 30 million 480 thousand yuan. Passed: ISO9001 quality management system certification, ISO14001 environmental management system certification and GB/T28001 occupational health and safety management system certification. The company has the qualification of construction and design qualifications: "electronic and intelligent engineering major contract one level", "mechanical and electrical equipment installation engineering professional contract one level", "building decoration and decoration engineering professional contract one level", "safety production license" and other construction qualifications; "architectural decoration engineering design special grade B qualification". The main business scope of the company: (1) laboratory: laboratory overall planning and design; Laboratory mechanical and electrical equipment installation and decoration engineering general contract; laboratory ventilation and exhaust gas treatment system, air conditioning and air purification system, constant temperature and humidity room system, digital experimental sensing system, laboratory intelligent system, high grade biological safety system. All laboratory and laboratory concentrated gas supply system, laboratory pure water system, laboratory three waste disposal system, laboratory special cabinet, laboratory complete set of equipment, laboratory instrument equipment, digital laboratory system and other software and hardware, such as software and development, manufacture, installation and maintenance. The company has R & D centers, bringing together a group of high-level technical personnel, specializing in the research and development of hardware and software of laboratory system equipment. Through years of efforts, we have gained gratifying results. Kobe has won 3 national invention patents, 12 utility models and 4 computer software copyrights. The self-developed "adaptive VAV variable air volume sectional ventilation control system" obtained the national invention patent. This system greatly reduces energy consumption and environmental noise, efficiently eliminates indoor exhaust gas, realizes the stability of surface wind speed, and achieves the effect of "high efficiency, energy saving, environmental protection and stability". This technology is in the leading level in China. The company has taken the lead in introducing Internet technology into the field of intelligent laboratory management, and the independent research and development of "KILAB intelligent scientific laboratory comprehensive platform" has won the patent of the national invention. The company participated in the construction of the first national maximum biosafety level laboratory (P4) in China. The P4 laboratory envelope project adopts the company's innovative design and construction technology, and has been highly recognized by the authority of domestic biosafety and French experts. The high level protection laboratory enclosure structure developed by KB has been accepted by the national invention patent. The company is a AAA grade credit enterprise, a grade a tax credit enterprise, a provincial "Shou contract heavy credit enterprise" and a provincial "heavy quality and good faith enterprise". The "KEBEI" trademark has been identified as a famous trademark in Hubei. The company has been awarded the "advanced unit" certificate of honor by the China Educational Equipment Industry Association for many years. Wuhan Kobe will always adhere to the spirit of "quality, integrity, innovation and enterprising", and make unremitting efforts to create first-class environmental science laboratory and excellent laser equipment for customers.